If you have a jailbroken iPhone, with an unchanged SSH password, there is a high chance that your security can be compromised by any of the iPhone worms out there. The easiest thing one can do to secure his or her jailbroken iPhone is to change the default root password or by disabling SSH entirely. 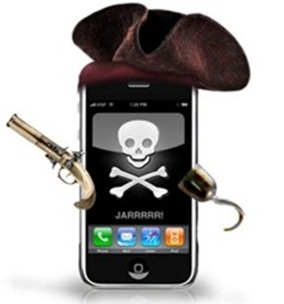 Apple’s spokesperson Natalie Harrison today offered following comments regarding all these recent iPhone worm attacks. Apple, for very obvious reasons will never recommend you to jailbreak your iPhone. They’ll always warn and scare you away from jailbreaking. The thing to remember here is that only those iPhones that have the default root password ‘alpine’ are vulnerable to these attacks. Many users forget to change this default root/password combination after jailbreaking, leaving their phone vulnerable to hacking. This most important step is generally taken lightly by most users. So it is not actually the jailbreaking that has exposed iPhones to these dangerous worms, but it is the users, who are exposing themselves to such vulnerabilities by not following the precautionary steps. If you have changed your SSH password, no intrusion can be done by these hackers. In my opinion, jailbreaking iPhone is safe and it enables you to use so many useful apps like Snappy, multifl0w (Palm Pre style multitasking), uTorrent app, Google Voice and countless other apps and utilities which otherwise one would have been deprived of. So don’t let these viruses scare you. Practice safe jailbreaking, and enjoy it. The lesson to learn here is that if you jailbreak your iPhone with SSH enabled, then you must change the default password. You can follow our complete step by step guide posted here on how-to change your default SSH password on your jailbroken iPhone.